Put your Motorola communication equipment on a certified System Maintenance Plan from Radio Communications of VA and start saving time and money before it’s too late. If your company relies on its two-way radio communications to perform, then you can’t afford any extended outages. 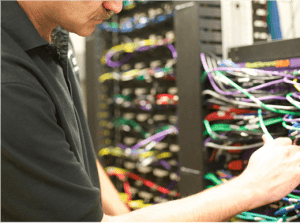 Unfortunately, it’s entirely possible for your system to go down without notice, requiring immediate maintenance to make sure your business can communicate the way that it needs. For business who need consistent, reliable communications, one of the best tools to have at disposal is a system maintenance plan. Maintenance plans allow your radios to get the service they need, whenever it’s needed, securing your business’s communications at all times. Read on to learn about the benefits of maintenance plans for your Motorola radios and how they can help secure your communications no matter the situation. Protect your investment by maintaining the quality of your equipment and communications with a System Maintenance Plan. When you sign up for a maintenance plan from a trusted provider like Radio Communications of Virginia, you’ll get the type of priority service that ensures your equipment will be repaired quickly and effectively. To prevent extended downtimes and breaks in communications, your business needs top quality maintenance contracts. You can find just this by partnering with Radio Communications of Virginia. Our maintenance plans will ensure that your quality Motorola radio products work whenever you need them, improving the responsiveness of your business and allowing you to serve your customers the way you need. Contact us today to learn more about our maintenance contracts and other high quality two-way radio services. Starting pricing ranges from $6.00/month to $50.00/month. Please inquire within for more information!